How do I set out a floor for tiling? First of all find the centre of your room length if your room is 3m long for example, the centre is at 1.5m strike a line running Parallel 1.5m from the squarest wall. Then depending on your tile size you can start with the edge of your tile to the edge of the line or you can start with the centre of the tile on your line, don’t forget to check which leaves you with the best cuts always avoid small cuts. Repeat the above for the width. How do I lay floor tiles? 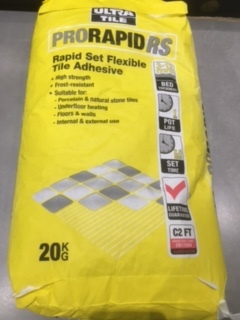 Your floor is ready to tile you can start spreading your adhesive with a notched trowel [usually with a 10mm notch] evenly onto the floor be careful not to cover your centre line with adhesive, spread approximately 0.5m2 of your floor before you start laying your tiles. Place your tile into the adhesive and give it a light rub into the adhesive then place the next tile into the adhesive rub it down until it is totally flush with the first tile, space your tiles using 3mm crosses and repeat until all your full tiles are fitted. How do I mark and cut a tile? Measure the gap from the fixed tile to the wall on the left hand side and mark onto the tile don’t forget to deduct 3mm for your spacer and repeat on the right side of your tile. Which tools do I need to tile a floor? A tape measure and pencil. A chalk line or a long straight edge to mark your setting out line. A tile cutter [score and snap] one big enough to suite the size of your tile i.e. if your tile 330×450 you need a tile cutter 500mm long, I recommend the Rubi TS 50 plus. 3mm spacer crosses or whatever size of spacer you choose. A sponge and clean bucket to wash down with. These materials are both manufactured in a very similar way. The clay used in porcelain is much denser and there’s a slight difference in the way it is produced i.e. there is a feldspar element and is fired at a much higher temperature making porcelain a much harder material than ceramic. Rectified tiles can be either ceramic or porcelain. There is a process of machining the edges and this in effect provides a perfect straight edge to the tile. Can a wall tile be used on the floor? Wall tiles cannot be used on floor areas. The reason being that they have a weaker glaze and body than tiles that are manufactured for the sole purpose of flooring. Wall tiles have a low resistance to impact and stress when fitted as flooring and this may cause chips and cracks to appear. This is not the same for floors tiles as they are more than suitable for fitting on walls. Almost all ceramic/porcelain tiles can be straight cut using a manual tile cutter that scores point to point where the break is required then snapped to create a clean cut. When a more intricate cut is required i.e. an L cut then a wet saw or handheld grinder should be used. On some materials i.e. stone it is best to use a wet saw or handheld grinder for any cut (even straight) as it is very difficult to get a clean cut with a manual tile cutter. Tile trim is a beading that is used to cover the exposed edges of the tiles. I.e. around a window, instead of having the cut edge of the tile showing around the perimeter you can use a tile trim to cover which provides a neater finish. There is many different tile trims, they are mainly chosen through personal preference. You can have quadrant, straight edge, square edge etc. and there are loads of colours to choose from. You can also decide if you would like metal, plastic, chrome etc. the options are vast when it comes down to this product. When would I need to use white tile adhesive? When you’re deciding if you need to use a white adhesive there are two factors to take into consideration, the type of materials you are fixing and the colour of the grout. 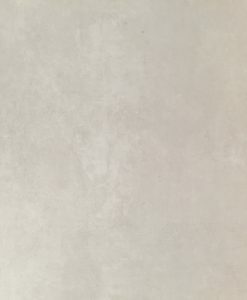 If you are using a light coloured natural stone then a white adhesive should be applied to avoid staining or a shadow coming through the face of the tile. With grout, if you are using a light colour i.e. white or cream then white adhesive again should be used so no dark coloured adhesive is showing through the joints. Where would I need flexible adhesive & grout? Flexible adhesive & grout is to be used on areas where movement is present i.e. on timber floors & where underfloor heating is fitted. If you’re ever uncertain with the substrate you’re working on then contact the technical department of the adhesive/grout manufacturer and they will advise accordingly.